We are inviting you to participate in our vision of a future for NIMBY and the artists that call us home. Talking about the causes of displacement in our community or discussing the political avenues for aid are not going to get us the help we need in the short amount of time we have. We have six months to make magic happen, so we can continue to do what we do best, make magic. 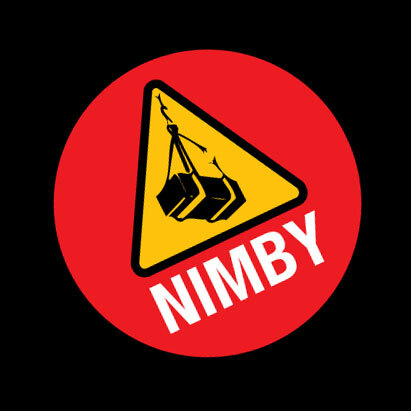 The following details NIMBY’s current situation and the options we have found for staying in the east bay. After reading this, please take the time to donate or leave suggestions. We are very excited about our vision of a future NIMBY where we can keep Oakland and the Arts alive with creative inspirations. NIMBY is facing a proposed increase of tens of thousands of dollars a month rent increase beginning Jan 1. That boils down to roughly $500.00 more a month for each tenant. We are still in negotiations with our landlord but must be prepared. We are always looking for a new place to call home. 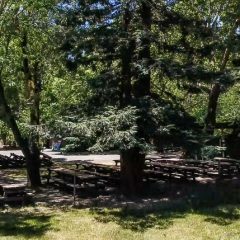 After two years of searching we have found two very special places in the east bay. The first is a 44 acres property that was previously a park with a Ferris wheel (Ferris wheel not included). It is 8 miles from NIMBY’s current location. We would like to buy this property so that we can avoid getting displaced or priced out every economic cycle and continue to provide below market rates. The purchase would require $5,000,000.00. We are looking for loans, co signers, partners, trusts, grants, donations, bake sales, work trades and anything else that can help up meet our goal. Please spread the word and contact us if you can help get us closer to a final purchase. The second is also a very special location. It is 58 acres, and 4 miles from NIMBY. This would be a long term lease and comes with some complicated hurdles. Although the space itself is incredible it remains a fall back option because the idea of NIMBY owning it’s own space is the goal. Both spaces are 90% green space and will be used as such, so expect farm animals at NIMBY in the future! This will not affect the build season and we are hoping for a slow calculated move. I think these spaces, and the reasonable rents will far out weigh the extra drive. Comments and questions are welcome, but please be assured that we will get more information to you as soon as possible.